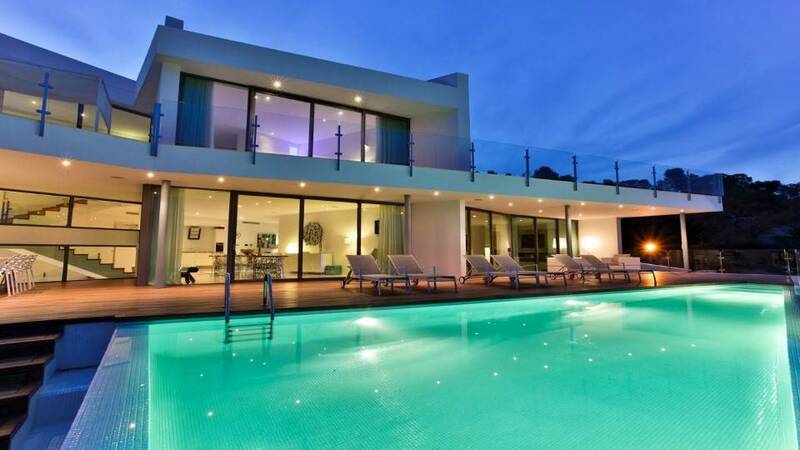 A spectacular home of recent build with panoramic views to the sea and Formentera Island, designed by renowned architect and built without sparing any details in finishes, furnishing and decoration. Vast comfortable spaces have been created to entertain and relax both inside and out. All bedrooms benefit from exterior access and ample comfortable en suite bathrooms while the fully equipped top of the line kitchen allows for professional catering.